Both religious and secular innovators --at any rate those who have had most lasting success- have appealed, as far as they could, to tradition, and -- have done whatever lay in their power to minimize the elements of novelty in their system. The usual plan is to invent a more or less fictitious past and pretend to be restoring its institutions ... 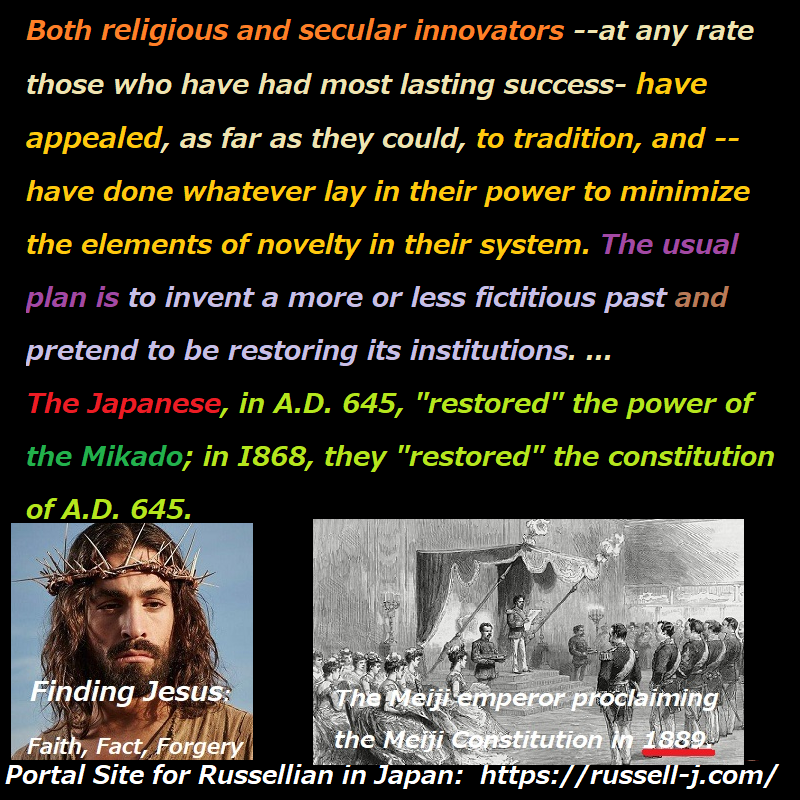 The Japanese, in A.D. 645, "restored" the power of the Mikado; in I868, they "restored" the constitution of A.D. 645.